A lawsuit taken by the two sons of music promoter Bill Graham has been dismissed by U.S. District Judge Claudia Wilken of Oakland. The case was taken against Bill Graham’s executor, Nicholas Clainos. He was accused of cheating the sons out of expensive concert posters and the Fillmore Auditorium trademark, which is worth millions of dollars. Bill Graham was a leading pop music promoter for over twenty-five years. He died in a helicopter accident in October 1991, aged 60. At the time of his death David Graham and Alexander Graham-Sult, his sons, were 23 and 14 respectively. Their father left behind a $36 million estate. which was divided out by his executor after a 3 ½ year legal battle. His two sons received almost $10 million dollars each in the settlement. Clainos was sued by Graham’s sons in 2010. This case was a legal battle involving 174 posters of images of household names like Aretha Franklin, the Rolling Stones and Bob Dylan. The Fillmore Auditorium trademark name was also contested as part of this lawsuit. Clainos and others purchased Bill Graham Enterprises in 1994 for $4.5 million. However, Graham’s sons claim Clainos did not tell them certain music-related items were included in the sale. They said they first found out about these items by accident in 2009 when they visited Bill Graham Enterprises headquarters. They believed they were entitled to stop the sale of the items and buy the property. Despite this, Judge Claudia Wilken ruled against Graham’s sons, stating that the posters belonged to Bill Graham Enterprises. They were sold in the correct manner. She added that Graham’s son’s got $778,000 when the posters were sold and obtained 10% share in the company. Bill Graham setup Bill Graham Enterprises to avail of corporate structure benefits. Judge Wilken went on to explain that concerts were staged under this company name and poster artists were paid through the company. The trademark for Fillmore was also tied in with the company. A similar case was dismissed by Judge Wilken in 2011 because it wasn’t filed in time. The music items sale was disclosed to the Graham brothers’ lawyer by Clainos in 1997. Graham’s sons’ lawyer, Arturo González stated that the decision made by Judge Wilken will more than likely be appealed and a jury will be involved. Zia Modabber who is Clainos’ lawyer said the outcome of the case vindicated her client and hoped Bill Graham’s sons would move on from this. In September, the Securities and Exchange Commission said that a takeover bid in February this year for Barnes and Noble (BKS) which saw the bookseller’s stock rise more than ten percent was fraudulent due to the fact that the firm behind the takeover announcement were lacking in the necessary funding to carry out the deal. Michael Glickstein and his New-York based company G Asset Management LLC also allegedly reaped over $160,000 in improper profits from the higher share price which was prompted by a news release announcing the deal, according to the SEC. Whilst Glickstein and his company neither admitted nor denied the allegations against them, an agreement was made to return the $175,000 of alleged ill-gotten interest and gains. The firm have also agreed to be subject to SEC censoring and Glickstein has agreed to pay a $100,000 penalty and has been issued with a five year ban from participating in the securities industry. The enforcement action focused mainly on the $22 per share offer which G Asset Management announced in February as a purported effort to purchase 50% of Barnes and Noble’s stock. According to a SEC order, the offer represented an approximate 30% premium over the value of the bookseller’s shares at the time. Suggesting an alternative, G Asset Management made an offer to acquire 50% of Barnes and Noble’s Nook e-reader business unit. However, with no more than $3 million in assets under management, the investment firm had no ability to finance either of its purchase offers, neither did it have any reasonable basis to suggest that it would be able to finance any of the offers in the future, should Barnes and Noble have accepted. According to the SEC, Glickstein and his company also failed to disclose information regarding their acquisition of approximately 14,000 shares of Barnes and Noble stock, along with roughly 30,000 call options which would have risen in value if the bookseller’s shares were to rise. Just seconds after the G Asset Management news release was issued, Barnes and Noble stock value jumped from just $17.05 to $18.99. As a result of the more than 10% increase in value, the New York Stock Exchange immediately halted trading. Following a number of reports by media outlets which stated that traders had questioned the ability of G Asset Management to fund a takeover, the stock ultimately closed at a 5.4% increase for the day at $17.69. United States is the country with the best universities and low schools in the world. This is the list of the best Law Colleges in the United States. Located in New Haven, Connecticut, Yale Law School is one of the world’s premier law schools. Among the School’s graduates are U.S. Presidents and Supreme Court Justices; and among its far-reaching projects, the Information Society Project and the China Law Center. Yale Law School offers four degree-granting programs – The J.D. program is a three-year course of study. The LL.M. is a one-year course of study for J.D. graduates interested in law teaching. The J.S.D. program is open to Yale Law School LL.M. graduates. The M.S.L. program is a one-year course of study intended for experts in other fields who want to explore how the law relates to their fields. Harvard Law School (HLS) combines the resources of the world’s premier center for legal education and research with an educational environment designed to enrich individual and interactive learning. The result is a uniquely vibrant and collaborative community. Harvard’s scope generates enormous vitality through its depth of academic options, wide array of research programs, diverse student body drawn from across the nation and around the world, and global network of distinguished alumni. 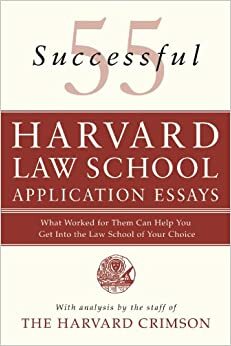 Harvard Law School offers students a curriculum of unparalleled breadth: more than 400 courses, seminars, and reading groups that together reflect the remarkable range of the faculty’s expertise and interests. Also they have their legal marketing services. Stanford Law offers unmatched opportunities. Their approach to education is distinctly student-centric, defined by the needs and ambitions of future graduates and customizable to each individual student. Create your own joint degree, invent a new course, explore law’s intersection with the most dynamic disciplines of the day — the possibilities are virtually limitless. 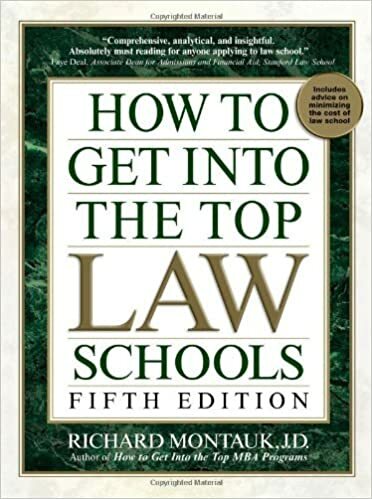 And the advantages extend beyond law school, resulting in the practice-ready skills employers demand, better chances at prestigious clerkships, a high bar passage rate and support when you’re ready to launch a career. Columbia Law School has always been committed to the pursuit of excellence and its command of academic vitality. Columbia offers a challenging, but also supportive environment where coursework is both substantive in depth and vast in scope. The Juris Doctor (J.D.) program offered requires three years of study. One academic year, consists of two semesters, extending from mid-August through mid-May. The LL.M. Program is a one-year, full-time program beginning in the fall semester. It is an opportunity for our students to specialize in fields not fully covered in their previous law work. Founded in 1835, New York University School of Law has a record of academic excellence and national scholarly influence. One of the first law schools to admit women, it has been long committed to welcoming students of diverse backgrounds, people who had been discriminated against by many other institutions. Located on the University’s campus in Greenwich Village, NYU Law has been a pioneer—and continues to be a leader—in programs such as clinical education, public service, interdisciplinary colloquia and global studies.